Happy Summer! The end of June is here and we are in full swing processing strawberries, rhubarb, baby beets and radishes. As produce rolls into the Turtle Rock Farm kitchen there isn't much room to spare in the fridge, but we always try to stock up on supplies (like this Caesar dressing) that can provide quick healthy meals. When things get busy it's easy to push our self-care routines to the side. It's important to remember that even when there isn't a lot of time to cook, we still need nourishing meals to fuel our projects, and ourselves. 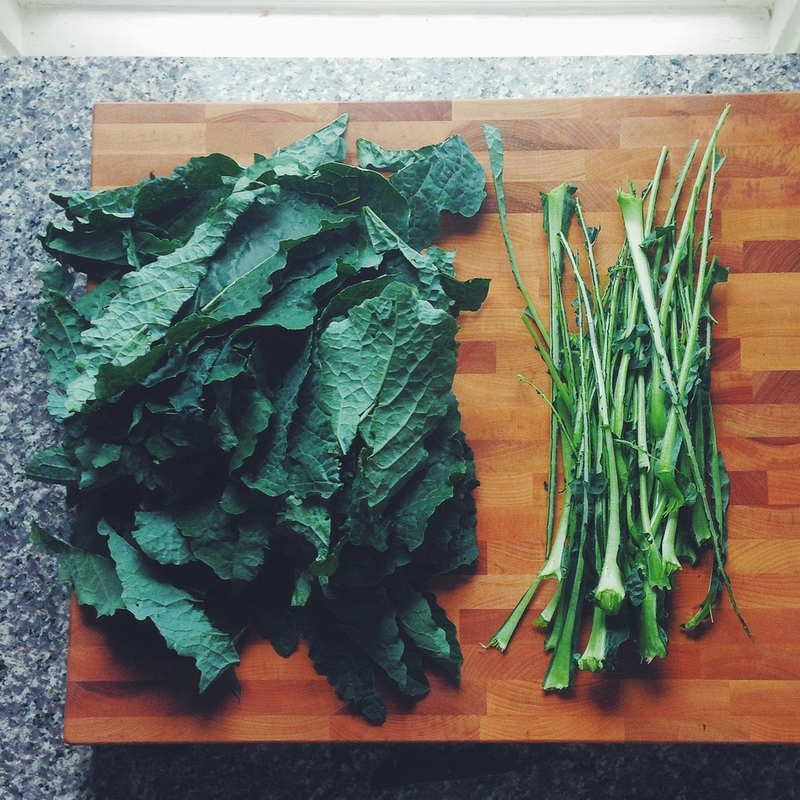 Kale is abundant in the garden right now, and today's recipe is perfect for the full days of summer. Make the dressing ahead of time, and this salad comes together in minutes! Set aside in large bowl. Cut each piece of bread into even 1/2" squares. In a medium bowl, toss together the olive oil and bread squares, until well coated. Bake for 10-12 minutes, checking often and turning half way through. Pasteurize egg by submerging it into gently boiling water for 5 seconds. 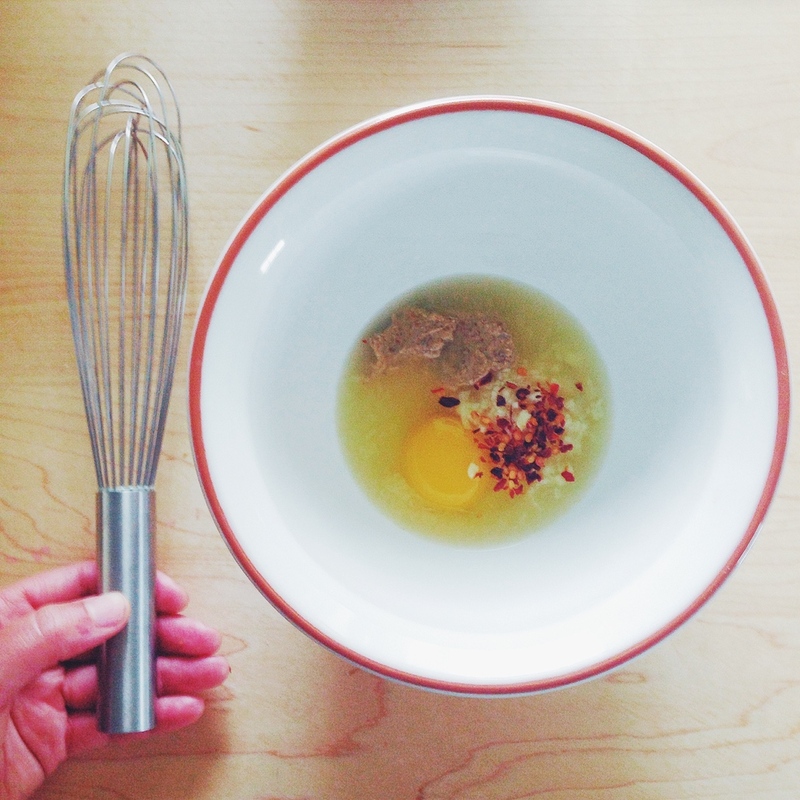 In a small bowl combine egg, lemon juice, minced garlic, mustard & red pepper flakes. Slowly pour in oil, while whisking to emulsify. 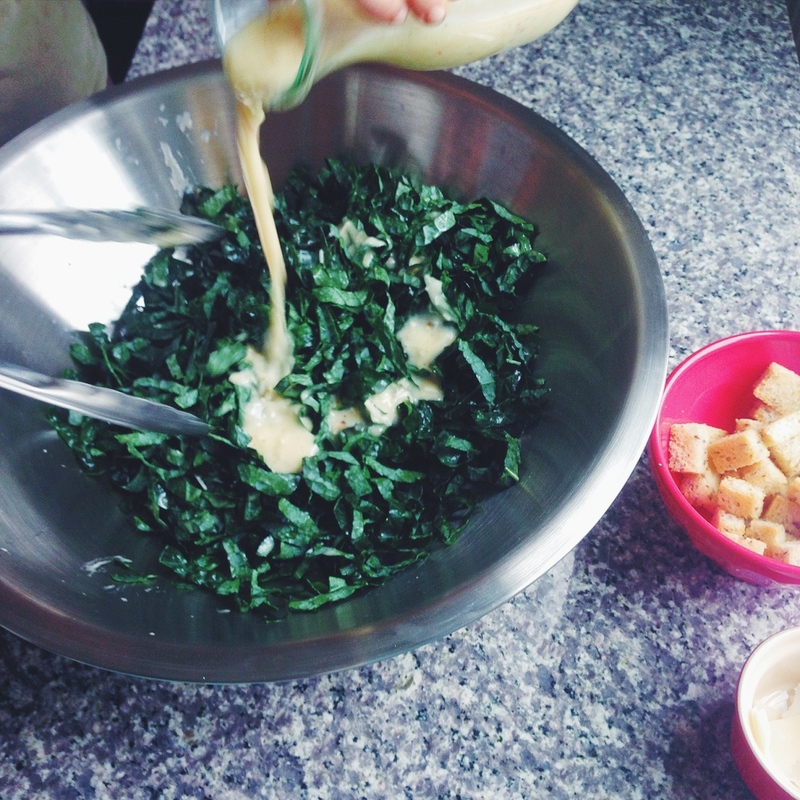 Once dressing is made and croutons are baked, slowly add 1/4 cup of dressing to kale while tossing with tongs, adding more until dressed to your liking. 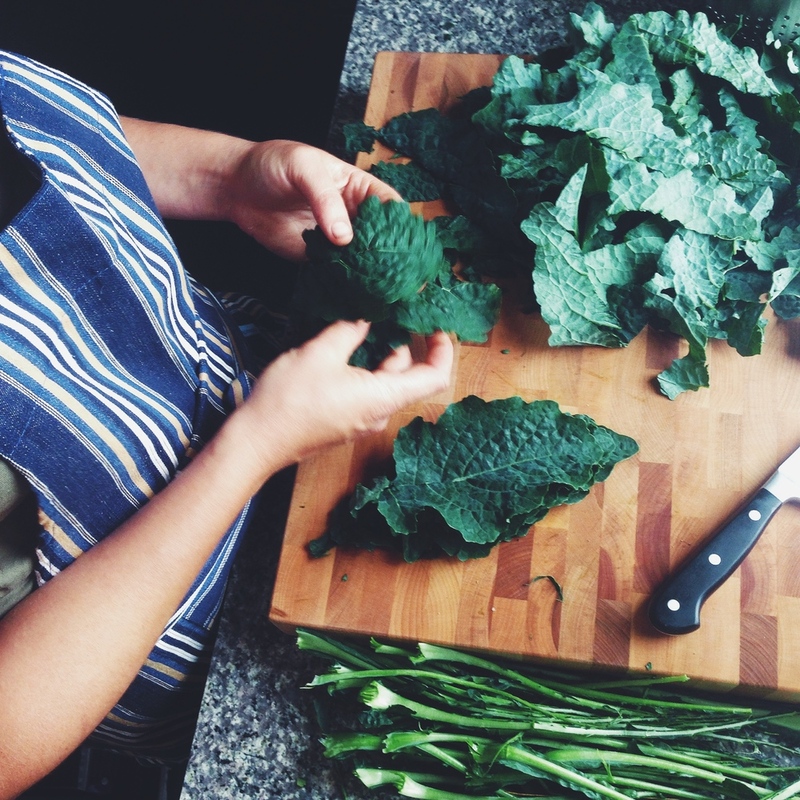 Plate kale, then top with croutons. Finally top with shaved parmesan and serve. 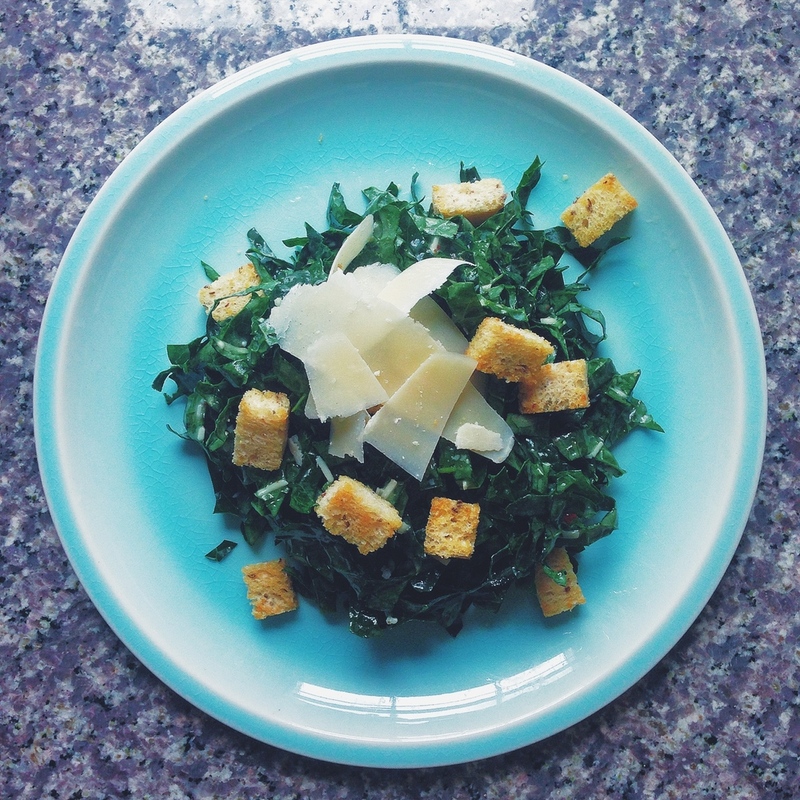 You can substitute romaine, head lettuce or baby kale for another take on this salad. We used a millet flax bread, which is great for anyone following a gluten-free diet, but you can substitute any type of bread to make the croutons. Dressing will keep in fridge for up to 3 months.